Up until 1965 all models of the Citroen DS fitted 165R400 Michelin X on their centre lock wheels. These are special 400mm wheels and can only fit 400mm tyres. You cannot fit 16" tyres on these wheels. It is dangerous and you will jeopardise your insurance. From 1965-75 Citroen generally fitted 5"J X 15" wheels these wheels had a circular hole in the middle which is how you know these are 5"J. In the UK these cars fitted 180HR15 Michelin XAS. Some models abroard would fit 155HR15 Michelin XAS FF and 165HR15 Michelin XAS tyres on the rear. This is a period quirk of the Citroen DS and the best option is fit the 180HR15 Michelin XAS front and rear. Some later Citroen DS and the DS21 Injection and DS23 Injection fitted the 5.5"J wheels (with a square hole in the middle). These cars fitted 185HR15 Michelin XAS tyres which are no longer available, instead of the 180HR15 Michelin XAS. Michelin presently make a 185HR15 Michelin XVS-P for these cars. There is no doubt that this is an excellent tyre however there is a train of thought thought that because the 185HR15 Michelin XVS-P has squarer shoulders it is not suited to the suspension of the Citroen DS when cornering hard. The thought being that the equal length wish bone suspension makes the tyre stay parallel with the side of the car. So when the car leans when cornering, the inside edge of the XVS-P lifts and the rounded shoulders of the XAS are more suited to this suspension set up. There is however a completely separate school of thought that claims that the 185HR15 Michelin XVS-P is the best tyre you can fit to a Citroen DS. The 185HR15 XVS-P is often specified as a preference in Europe and Michelin recommend this tyre. One thing is absolutely set in stone. Michelin and Citroen invented asymmetric tyres (such as XAS and XVS-P) because the Citroen DS needs asymmetric tyres to drive on modern roads. When dual carriageways and motorways were introduced Michelin and Citroen had to improve the DS's directional stability and that was done with asymmetric tyres. Fitting anything other than asymmetric tyres will spoil the handling of a DS. At Longstone Tyres we have had to rescue many cars from this mistake and enjoyed the relief that the owners of Citroen DS have shown when there cars have been dramatically improved by putting them back on the correct tyre technology. Tyre pressures are often an issue with the Citroen DS, so Longstone Tyres gives a basic recommendation of going with 29psi in the front and 26psi in the rear. The Safari model 29psi in the front and 32psi in the rear. When Dual Carriage ways were invented and cars were cruising at far higher speeds than had been previously possible, Michelin with Citroen together developed the asymmetric tyre for the Citroen DS to dramatically improve its directional stability at cruising speeds. It is true that the earlier cars fitted 165R400 Michelin X tyres and for comfort and grip at lower speeds they were great, but when these cars started to maintain speeds of 110kmh for extended periods of times on dual carriage ways they needed the added stability of asymmetric Michelin XAS. It is true that owners of a DS might want to buy non asymmetric tyres, but that is only because they are cheap. The Michelin XAS tyres are not expensive, but there is no doubt about the quality of the XAS. Also making tyres in such relatively small quantities for a company such as Michelin is not a cheap process. Many people assume that because a Citroen DS or ID is worth over 10,000 Euros then of course you should be able to afford a set of proper tyres. However at Longstone Tyres we see that the present value of a car has no relationship to what you should spend on tyres. 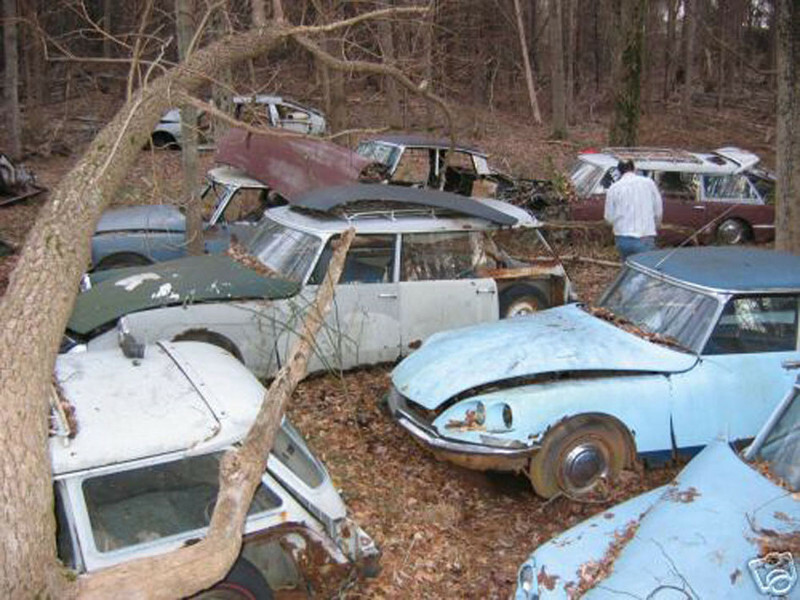 Many owners of a Citroen DS are not looking at their car as a valuable investment. Many of these cars are owned by enthusiasts that bought their car some years ago because they loved the car; not because they thought of it as an investment. Under these circumstances it is difficult to find the money to spend on a set of tyres. We have done our best to help people resist the temptation of cheap non-asymmetric tyres by offering a set of the Michelin XAS tyres with new Michelin tubes at an extremely good price. DS Citroen tyres for a standard car as recommended by Longstone Tyres. We recommend Michelin classic tyres for your Citroen DS. 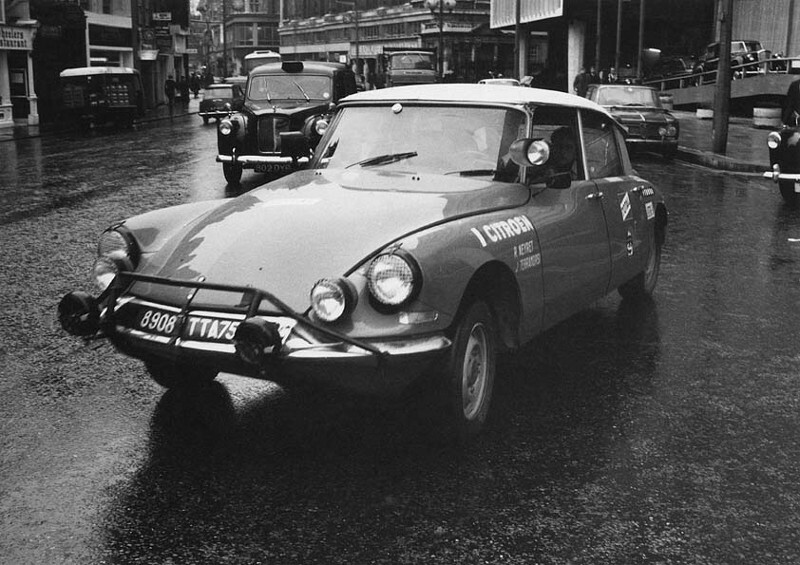 The initial Citroen DS fitted the 165x400 Michelin X radial tyre. The later cars fitted a 180x15 or 185x15 Michelin XAS all round. We at Longstone Tyres would recomend the fitment of the 180HR15 Michelin XAS on pre '73 DS Citroens, as these tyres were designed for Citroen DS. After 10 years of secret development with many ideas tested on the Traction Avant, the Citroen DS 19 was shown to a shocked public at the 1955 Paris motor show. As with the Traction Avant before it, the Citroen DS (Goddess!) featured a raft of technical advances. The most revolutionary of these was the high pressure hydraulic system which was used to actuate the clutch, gearchange, brakes, steering and of course the hydro-pneumatic suspension system (as seen earlier on the Citroen 15-Six-H Traction Avant). 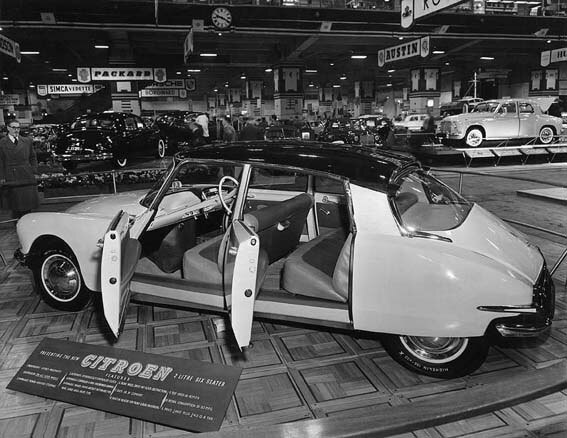 The amazing suspension system allowed the car to be raised or lowered by 6 inches meaning changing a tyre didn't require a jack, you simply raised your Citroen DS inserted the support and then lowered the car leaving one side dangling in the air! It was even possible to drive the car with only 3 wheels (although not many people tried it). The styling of the Citroen DS was quite possibly its most controversial feature. Some people have called it a "space age" although it was penned 6 years before man entered space! It is very much a love it or hate it design with no middle ground. 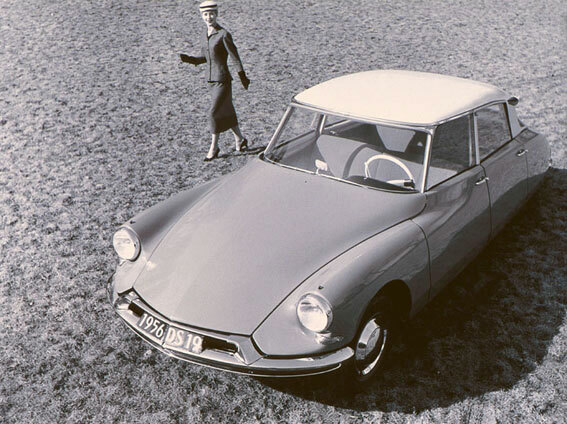 In 1968 the Citroen DS was given its first major redesign giving the car four headlights fitted behind plastic covers. The inner pair of headlights swivelled with the steering (a feature Mercedes have just introduced 38 years later!) while the outer pair were linked to the suspension to maintain a level beam. Also in 1968 the Citroen DS21 (introduced in 1965) and the Citroen DS19 gained more power and the names were changed, the DS19 became the DS20 and the ID's became the D spécial, if equipped with the old engine. The D Super was fitted with the new DS20 engine. The Citroen DS21 became the DS23 in 1972 when the 2.3 litre engine was fitted and the D Super was made available with the DS21 engine and 5 speed gearbox. On the 24th April 1975 production of the Citroen DS ceased after selling 1,455,746 units. These included the 7 or 9 seater Safari (or Break), the Prestige (with a glass panel between Chauffeur and owner) and Decapotable (convertible) both made by Henri Chapron and the Pallas with leather trim and superior external finish. The Citroen DS made a formidable rally car and also gave birth to the remarkable Maserati powered Citroën SM (perhaps the car the DS always wanted to be? ).